Starbucks has just released their 2019 Coffee & Tea Refill Tumbler. 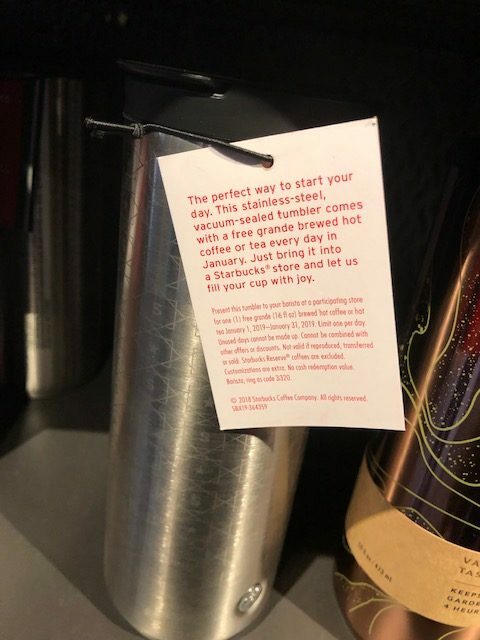 The tumbler costs $40.00 and entitles the owner to one free grande (16 oz) brewed hot coffee or hot tea from January 1, 2019 to January 31, 2019. You are limited to one refill per day (although I’m sure that the free refill policy if you do not leave the store would still apply). The tumbler is actually quite nice this year featuring a simply brushed stainless steel look. I purchased the same mug last year and found it to be quite high quality and it kept my coffee hot for several hours. This would make an excellent gift for coffee lovers. Is The Starbucks Refill Tumbler a Good Deal? Considering that a grande coffee at my local Starbucks store is $2.30, I would break even after 18 days. This is a great deal assuming that I actually went to Starbucks over half the month. Don’t forget that you also get the free tumbler, which I value at $15-20. How Do I Get The Best Deal on The Starbucks Refill Tumbler? 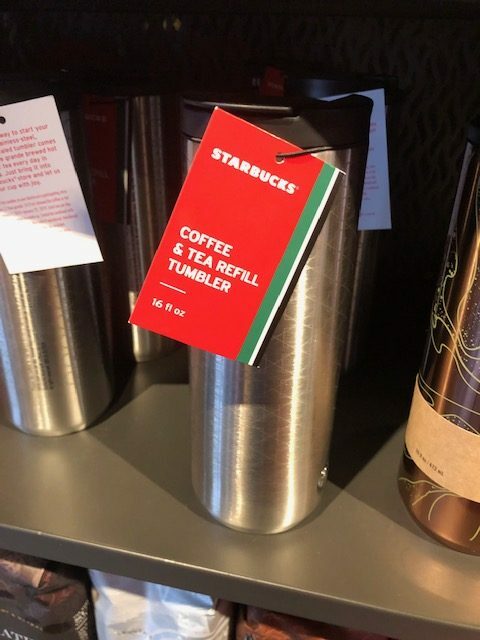 Most people would say that you should wait until after Christmas and buy the tumbler at a Target store that has a Starbucks. Typically Target will discount the mug by 50-75% after the holidays. However, supplies are extremely limited and often only 1-2 mugs are left, if any, at this point. Still, getting this tumbler for only $20 or less is an incredible deal. Keep in mind that you will likely pay the full price if you buy it at a Starbucks store. They exclude this mug from all holiday sales, which sometimes will discount merchandise by 50-75% after Christmas. Another alternative that most would not consider is buying on eBay. I got last year’s mug for $27.00 on eBay, which I thought was better than taking my chances at Target. This was also before Jan 1, so I got full use of the mug for the entire month!